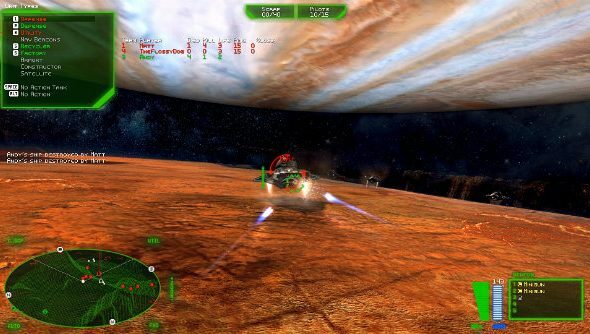 Classic strategy remaster Battlezone 98 Redux has launched on Steam today in a surprise announcement during a livestream. Why not check out our list of best space games while you’re here. Battlezone 98 Redux is built in the original engine, but with some new bells and whistles like modern online multiplayer. All in-game art has also had a complete overhaul, and all vehicles and buildings have been remodeled and retextured in high resolution. Lighting and shaders have enjoyed a complete overhaul, too, so the game should be sufficiently shiny on your 2016 display. Additionally,Battlezone 98 Redux launches alongside a converter for all the old user-generated maps, so they can all be imported across. Paired with Steam Workshop support, there should be plenty to keep you going once you’re done with the game’s two single-player campaigns. “We’re thrilled to be bringing an IP as iconic as Battlezone back into contemporary gaming, starting today with Battlezone 98 Redux.” said Rebellion CEO & Co-founder Jason Kingsley. Battlezone 98 Redux is available now on Steam, priced $19.99, and Rebellion are offering a special 20% discount during the first week on sale. Which Rebellion classics would you like to see get see get the redux treatement? Personally, it has to be Alien vs Predator, Rogue Trooper and Dredd vs Death.